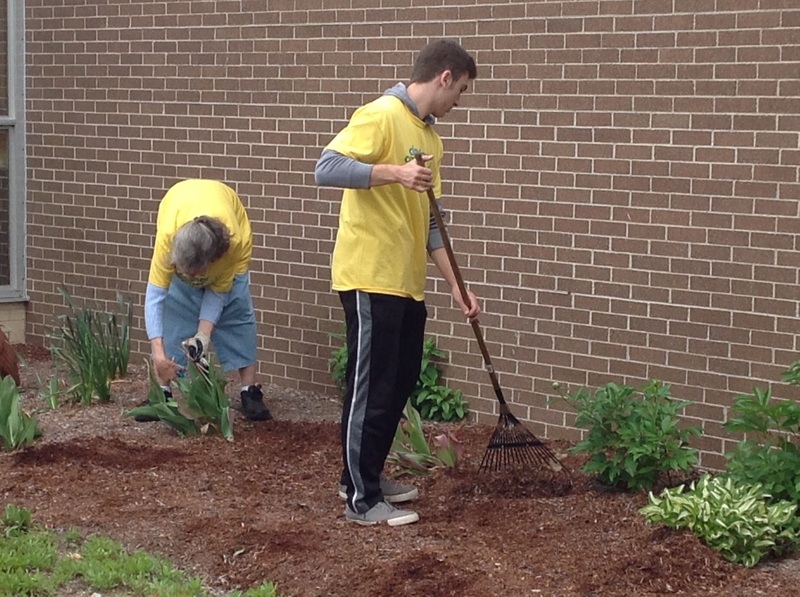 We are pleased to report during the week of June 3rd, a number of staff, students, and administrators from each of the seven district schools turned out for the spring edition of Cleaner Greener Timberlane. Specific clean up and beautification projects were scheduled at each school inclusive of clearing and planting gardens, setting up flower boxes, cleaning courtyards, spreading new bark mulch, painting signs, and general grounds keeping. Over 80 students and staff members came together with school custodial staff to work on their planned projects. It was a wonderful week of student service around the District that culminated the first bi-annual event. The mission and purpose of this initiative is to improve the curb appeal of district campuses and grounds, and promote community engagement. Superintendent of Schools Dr. Earl Metzler extends his thanks and appreciation to all who participated in this endeavor and looks forward to future events. Pamela Kozlovski and Nicolas Nifakos clean up the gardens in the High School Courtyard for The Cleaner Greener Timberlane Project.